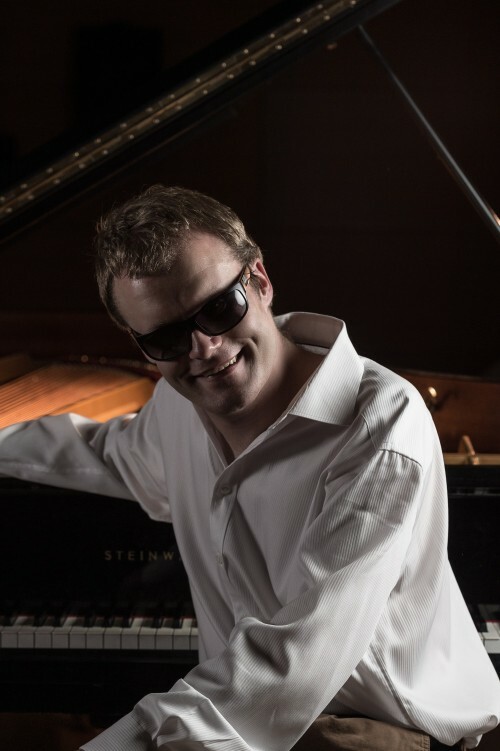 Derek Paravicini will play a selection of light classical music, jazz and songs from the musicals. There will also be the opportunity for the audience to ask him for requests. Proceeds from the concert will go to The Amber Trust, which helps blind and partially sighted children across the UK who have a talent or love for music. Its vision is for blind and partially sighted children, including those with additional disabilities, to have the best possible chance to meet their musical needs and aspirations and fulfil their potential. Derek has been making music since the age of two. He first shot to fame when he was just nine years old, playing jazz with the Royal Philharmonic Pops Orchestra at the Barbican Centre in London. Numerous national and regional television appearances followed, in the UK and overseas. In the last few years, Derek featured in the series "Extraordinary People" (Channel 5, UK), and on BBC1, BBC2 and ITV. Derek has given concerts in venues across England, in Europe and the USA; among them, Ronnie Scott's renowned jazz club, the Mandalay Bay Arena in Las Vegas, Nevada and in Phoenix, Arizona, for Mohammad Ali. There is no doubt that Derek is one of the most extraordinary pianists and musical entertainers of his generation. Yet he is blind, autistic and has severe learning difficulties. Dubbed "The Human iPod" in the USA, Derek has a repertoire of tens of thousands of pieces all learnt very rapidly, simply by listening to them. There is so much more to Derek than an iPod, though; beneath the quiet charm and thoughtful smile lies a fiery, creative musician, whose astonishing improvisations and dazzling technique have wowed audiences throughout the world. Derek's biography "In the Key of Genius: The Extraordinary Life of Derek Paravicini" was published by Random House in 2008, and serialised in the Mail on Sunday. PoppyMcGhee is a pupil at Marlborough College. She began her musical journey aged five when she first heard Nicola Benedetti play "The Lark Ascending". From that day on she was determined to learn the violin. Two weeks after her eighth birthday she passed her ABRSM Grade 8 exam with Distinction and in December 2016, her ATCL Performance Diploma. 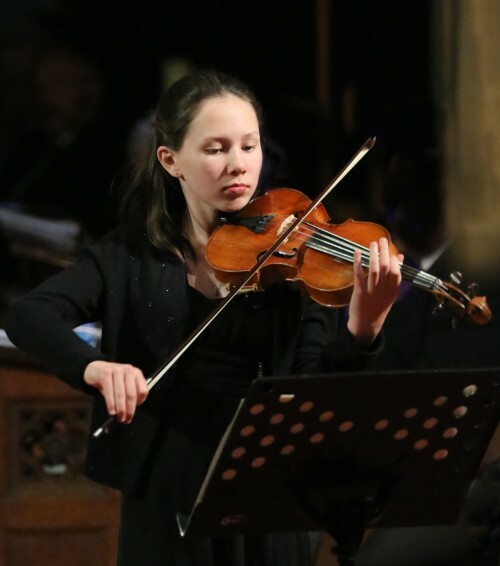 Poppy enjoys being part of The National Children's Orchestra and National Schools Symphony Orchestra, and is a dedicated fund raiser for The Amber Trust.